The steps are stacked against you when you apply for a Job online, but these simple Mantras can boost your chances. Prior to the dawn of the Internet, the prime place you or our elders went for the jobs was local newspaper’s classifieds. But now, various sector jobs posted by different employers are available under your fingertips. The Job portals are playing a vital role in easing a person’s effort in finding a job. This isn’t limiting the job seeker for one application, but in a way directing him/her to multiple sources in a matter of time. Unfortunately, many people feel that this is the way one is supposed to search for a job. When you approach it this way, you are in for a long and frustrating experience with less probability of tasting the success. Even getting an acknowledgement for the application sent would be a daydream. In the recent times, my friend applied for nearly 50jobs online, logging into his Indeed Account and he was very excited about tipping off an accomplishment party with a view of getting positive responses. But his patience level got shunned gazing at his empty mail box. Recruiters, Profile Short listers, Talent Acquisition teams often receive hundreds of Resumes in response to advertisements. Of those, only a few get to a conversation borne level. Not every line written in the Resume is keened by the Resume Screener. Statistically speaking, for an employer, screening n’ number of applications is like flipping a coin. At this point, you might drop your head down in despair. But Don’t. There are ways you can do to pebble your odds of being chosen for a position that suits you well. The below are some strategies which are way more effective. 1. Be patient in building Network, both in person and online: Attend Job Fairs, participate in your professional organizations and introduce yourself to people. Practice the art of small talks and shake hands. Understand that, with every new acquaintance you make, you will enlarge your network. 2. Limit your work flow to concerned lines: Don't bother with a lot of “Hail and Praise” for which you clearly aren't well suited to meet the employer's needs. Instead, look for positions where you can add value to employers. Be “one out of” by striking off “one among”. 3. Research well on the company prior to drafting the Cover letter: Social Engineer about the company and note down its challenges, and how you can solve those with your skills and expertise. Use this research in your case for being considered in your cover letter. 4. Figure out on how you can sail swift into the firm before you apply: You can use LinkedIn to find people in the company. You can proactively reach out for informational interviews. Don't ask for help at the onset, but instead spend some time building a relationship and make yourself the first one to offer prior to seek one. 5. Try for an Employee contact from the respective company if it has an Employee Referral Program: If so, would he/she be interested in forwarding your resume to the right person? Remember that, if you've already submitted your resume to the company, the employee won't get a credit to your application. A working employee forwarding your resume to the concerned department or person makes a big difference. 6. Be a knowledge savvy: Knowing things is never considered a sin. It builds you, upgrades you and molds you. Knowledge pays off huge, for yourself at prime and then for the company if got recruited. Keep challenging yourself that you can get it. If you aren’t getting, signify the pitfalls and rectify the causes and the simplify the ways to do sort them out. Invest yourself more to get more as a revert. Remember the old story of the tortoise and the hare. Slow but sure can win the race. The same is applicable with your Job hunt. 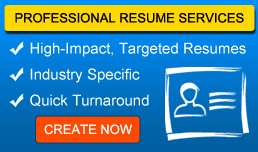 Build a good resume, if you aren’t doing well, then go for Resume Writing Services. They might be the bay for your job hunt. 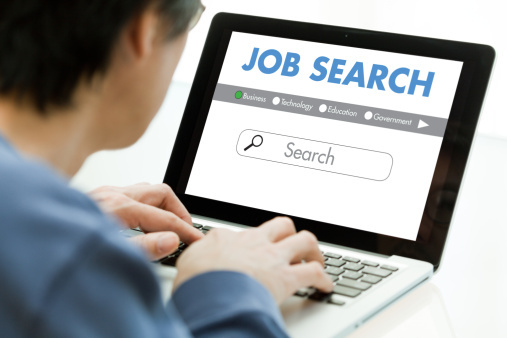 Go for fewer job applications by logging on to the Job portals. If it isn’t happening, then try Job Consultants, but do an in-depth research on every entity and make a clear argument for how and why you can add value to the company and where you can drive yourself in your professional career. It's tedious work, but in the end, your chances of success will skyrocket.